With higher efficiency than pure worm gear units, the helical-worm gear units are particularly powerful. The II2GD version can be used reliably in many explosion-proof applications. The simple design of these gear units ensures cost-effectiveness. The individual adjustment of torque and speed allows for space-saving installation of our helical-worm gear units. Use the S series gear units to implement simple tasks in your machine or plant applications. The combination with a helical gear stage significantly increases the efficiency compared to pure helical-worm gear units. 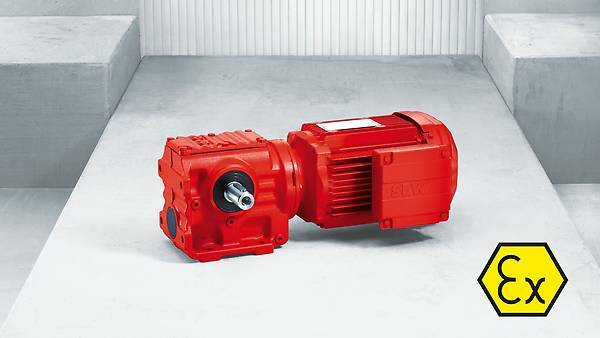 The linear power transmission makes the worm gear units especially quiet in operation. Why? The force is transferred to the input shaft by the worm shaft and the worm gear, which dampens torque impulses and allows for a lower noise level. 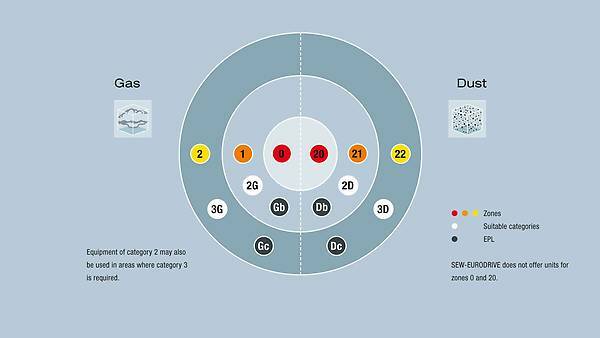 The torque ranges from 92 Nm to 4000 Nm. Only half the solution without a motor? Then use our sophisticated modular concept and combine the explosion-proof gear units of the S series with the explosion-proof motor of your choice. thanks to individual adjustment of torque and speed in all 7 sizes. due to the helical and worm gear combination. Much higher than in basic helical-worm gear units. because the linear power transmission dampens torque impulses on the input shaft.